THEOCRACY recently announced three new shows! The band will return to the Elements of Rock festival in Switzerland in March, play their first ever show in Mexico and April and headline the Mad With Power Fest 3 in Madison WI in August! Check the tour section for more details. THEOCRACY and Ulterium Records are happy to announce the “Ghost Ship” YouTube contest! 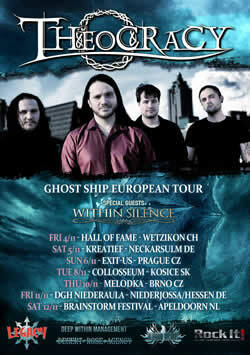 Record a video of yourself when playing or singing the Theocracy track “Ghost Ship” and upload it to YouTube. Then send a link to the video to contest@ulterium-records.com to be included in the contest. We are looking forward to check out your submissions! Good luck! Happy Easter weekend! God bless you all. No time for a Christmas song this year unfortunately, but here’s “Rudolph Vs. Frosty” from the Ghost Ship CD Release Show in Marietta earlier this month. Merry Christmas, and enjoy! 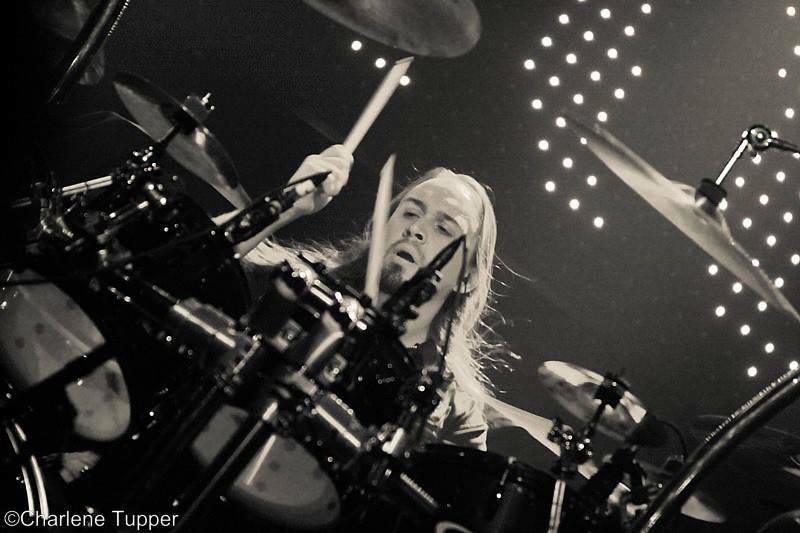 Georgia-based melodic metal band Theocracy is thrilled to welcome Ernie Topran to the band as their permanent drummer. Ernie has been drumming for more than 20 years, and has been active in the Atlanta music scene since 2006. During that time he has performed with many different bands, and he has been Theocracy’s touring drummer for the last couple years. “GHOST SHIP” ENTERS BILLBOARD HARD ROCK CHART AT #19! 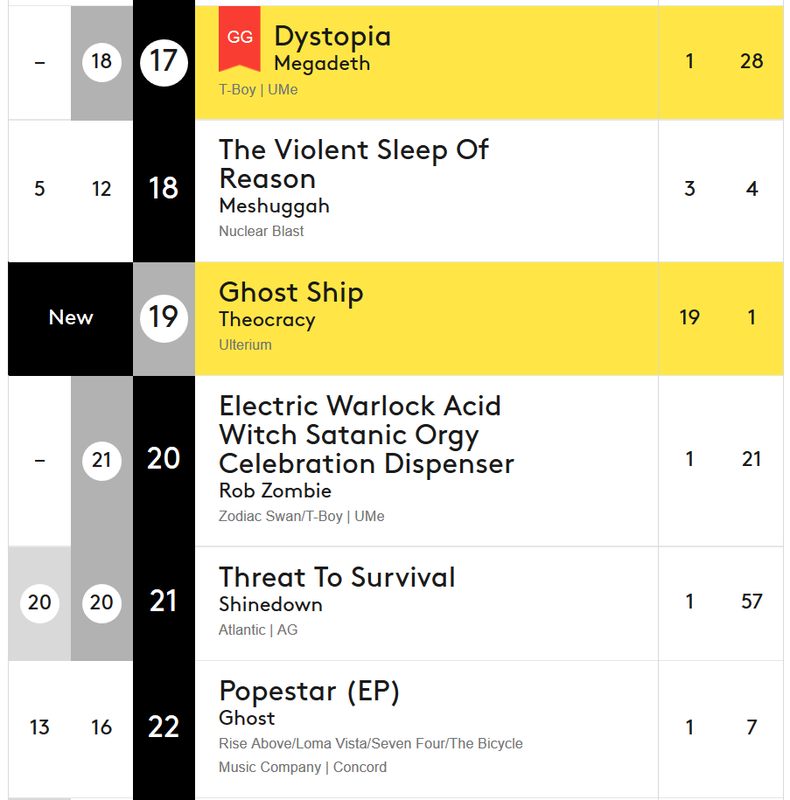 “Ghost Ship” entered the Billboard Hard Rock chart at #19, the Billboard Heatseekers chart at #7 and the Billboard Independent Albums chart at #44!